Kindness week is next week! 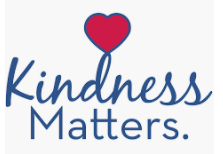 Sullivan Elementary & our school counselor Mrs. Morales will be showing that Kindness Matters everyday! Please see the schedule below for a list of daily challenges our students may participate in!